Afterwards, Gyalwa Karmapa and his entourage departed for London. In the evening he was welcomed at a reception in the National Gallery Cafe on Trafalgar Square, where a presentation was made on the New London Diamond Way Buddhist Centre Project. Here members of the London Sangha symbolically offered Gyalwa Karmapa their “collective Ngondro” – the group accumulation (while meditating together in the centre) of an entire set of 111,111 of each of the Four Foundational Practices. This was started in late January 2009 and completed just before Gyalwa Karmapa’s arrival. 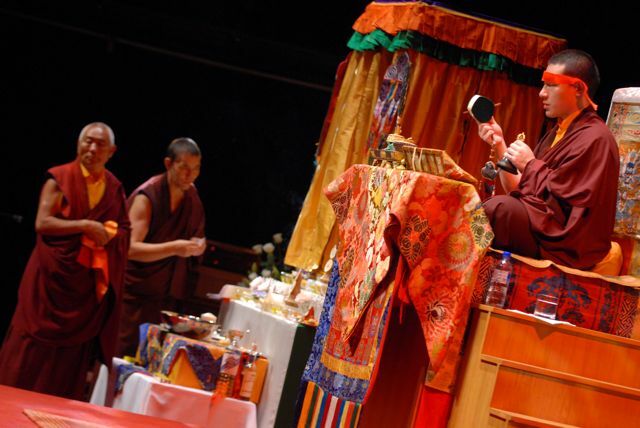 On 30 July Gyalwa Karmapa gave the teachings on the life of the Kagyu lineage holder Marpa, followed by the empowerment of Marpa, to an audience of around 700 people in the South Bank Centre’s prestigious Queen Elizabeth Hall. Those present included Buddhists from the Diamond Way and Dechen sanghas, including Lama Jampa Thaye and his family. 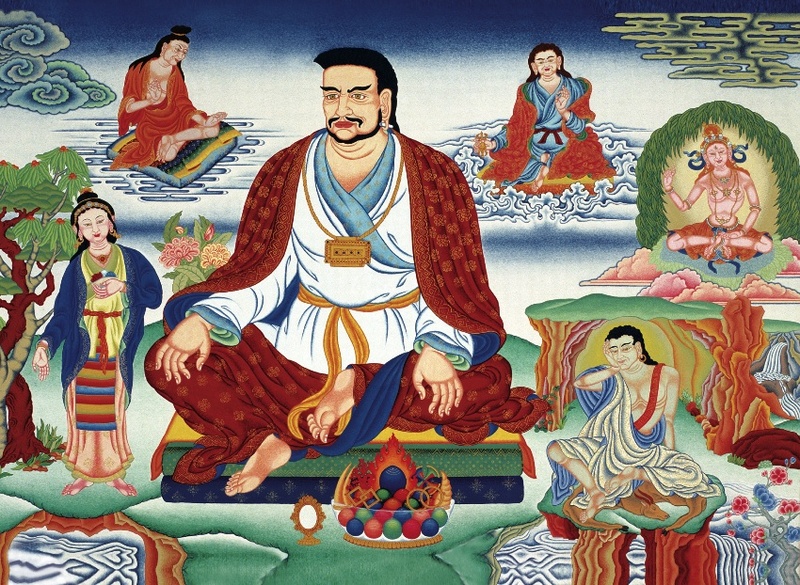 Marpa (1012-1097) is a hero of Buddhism and the father of the Kagyu Lineage in Tibet. His life is symbolic of the transmission of Buddhist teachings in new lands and in new languages whilst preserving their essential meaning. He travelled three times from Tibet to India to bring the teachings of the Kagyu Lineage into the land of snow, braving disease, brigands and the huge distances involved. As well as translating these teachings from Sanskrit into Tibetan, Marpa is widely regarded as the chief of all Tibetan accomplishers and was the teacher of the famous ascetic Milarepa. Yet for all his mastery he lived a normal life as head of his family – a husband, father, householder and farmer. During his life, hardly anyone except for his students recognised him as an enlightened being. But it was precisely through his ability to unify his life and his realisation that Marpa demonstrated the basis, way and goal of the Great Seal (Skt. 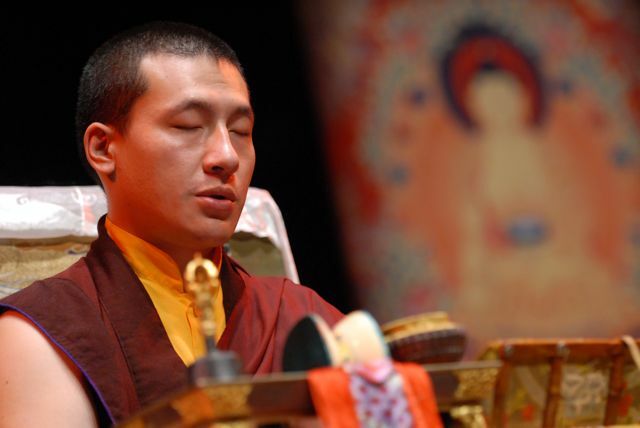 Mahamudra), the special teaching of the Kagyu lineage, which has been handed down from teacher to student as a living transmission until today, the present holder of which is Karmapa Trinley Thaye Dorje. 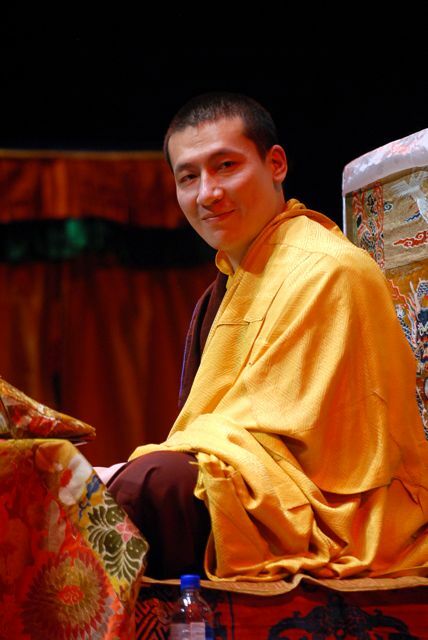 Marpa’s example as a lay practitioner is an inspiration to Diamond Way Buddhists, and his empowerment is a blessing for the practice of Guru Yoga (“Meditation on the Lama”), the main practice in Diamond Way Buddhist centres. After the empowerment, Gyalwa Karmapa was thanked on behalf of his students from the UK Diamond Way Buddhist centres. Thanks were also offered to Lama Ole Nydahl (who was not able to attend in person this year), without whose activity none of this would be possible. Finally, Gyalwa Karmapa was requested to come back to the UK as soon as possible. The enormous efforts of so many friends from the Kagyu family all around the UK resulted in a hugely successful visit. On Friday morning, 31 July, Gyalwa Karmapa was bid farewell at Heathrow Airport to continue with his European tour. He said that he would like to visit the UK for a longer visit next time! Reports of other visits of the 17th Karmapa to London can be found here (2005) and here (2007). 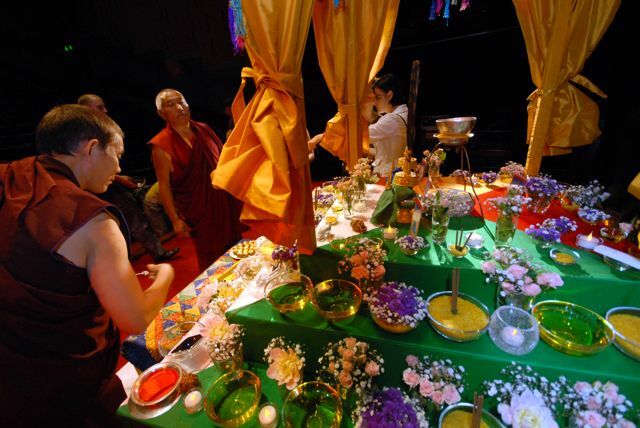 This entry was posted on Wednesday, July 1st, 2009 at 11:19 pm and is filed under 17th Karmapa, Buddhist Courses, Diamond Way Buddhism, Event Reports, Lama Ole Nydahl, Mahamudra, New London Centre. You can follow any responses to this entry through the RSS 2.0 feed. You can leave a response, or trackback from your own site.